How to Make Your Own Free Video Ringtone for iPhone? We’re among the large population of iPhone users who have the opinion that it’s unexciting to see a contact name on iPhone screen when receiving a notification of an incoming call. We believe it would be more interesting if you can set video ringtone for iPhone so that you know who is calling by hearing the ringtone and seeing a video playing on the screen when receiving a notification of an incoming call. To share on knowledge with you on how to make your own free video ringtone for iPhone, we shall be discussing how to use a Cydia tweak/app: Vuziq to create video ringtones for jailbroken iPhone. We shall also be discussing how to convert video soundtracks to ringtones for iPhone and set them as ringtones on non-jailbroken iPhone. Part 1: How to Set Video Ringtone on Jailbroken iPhone? Part 2: How to Convert Video Soundtrack to iPhone Ringtone? Well, gone are the days when you can only play default ringtones on iPhone. Nowadays, instead of seeing static pictures and caller’s name on your screen, you can choose to make incoming calls more fun by setting a music video from your favorite artist as your iPhone ringtone. Vuziq is a Cydia tweak/app that can help you set video ringtone on iPhone. It can be used to search and download fun and favorite music videos and set them up as iPhone video ringtone. More so, the ability to set up a video ringtone on a jailbroken iPhone is the feature that’s making Vuziq Cydia app popular among iOS device users. Before you can use Vuziq to download Video ringtones on iPhone, you have to go through a registration process. Once you are registered, you will be entitled to use the app in searching and downloading videos of your choice. All downloaded videos can be set specifically for individual contacts. 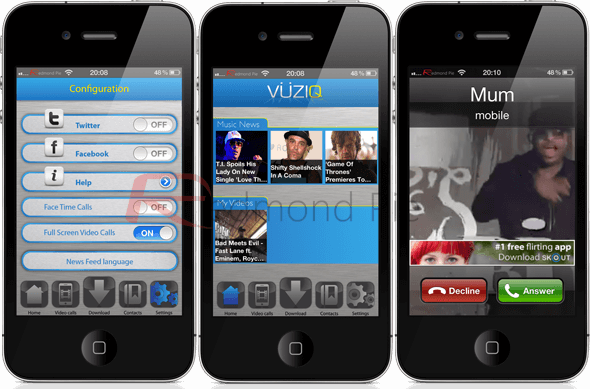 Here are the steps to setup Vuziq and use it to search and download iPhone Video ringtones. Simply open Cydia and switch it on. Then search for Vuziq and install it on your iPhone. Restart your device so that the tweak will work properly. Click Settings, Scroll down to Tweak Preferences and select Vuziq. Open the app from the application list on your SpringBoard. Search for your favorite music videos from the Download tab. Click on the video you wish to download, then the page with "Download & Video Stream" will open, choose "Download". Navigate to the Video Calls tab, and click the switch next to the video you just downloaded to set it as default video ringtone. Set the start and finish points on the video, and click the Save button. Vuziq is only compatible with iOS 5 and earlier versions, but not compatible with latest versions of iOS. Since it’s a Cydia tweak, you’ll need to jailbreak your iPhone before installing this tweak. There is always a delay between when you pick your call and when you get to hear the caller’s voice on the line. Since Vuziq is not compatible with the latest versions of iOS, it’s of my opinion that you should find a way to extract that your lovely video soundtrack and convert it to an audio file for iPhone ringtone. It’s easy to achieve that with iMyFone TunesMate. 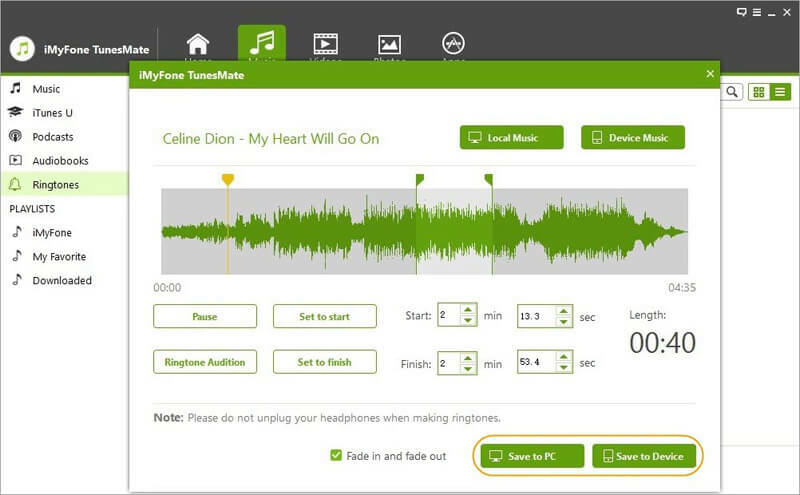 TunesMate gives you a feature that can convert video soundtrack to iPhone ringtone. TunesMate transfer feature allows you to upload all converted ringtones to iPhone, iPad, or iPod touch. You can preview your ringtone before sending it to your iPhone. You can conveniently set the start and finish time on the soundtrack so as to select the specific section that interest you more as a ringtone. 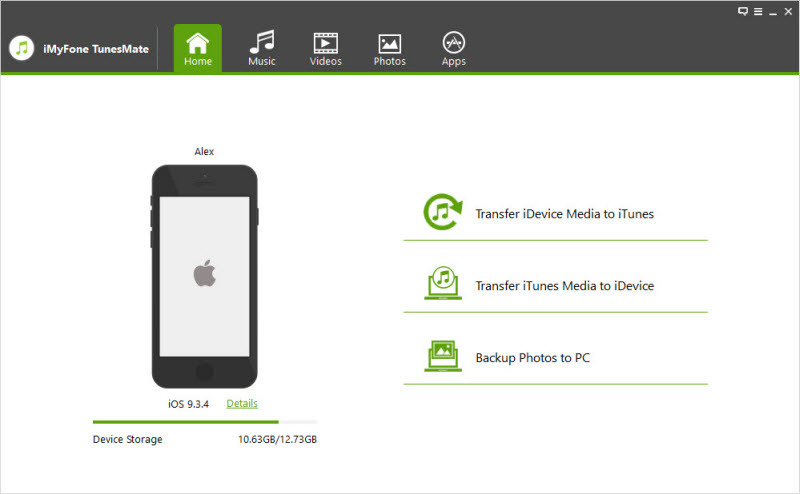 All iOS file transferring and managing can be done via iMyFone TunesMate. 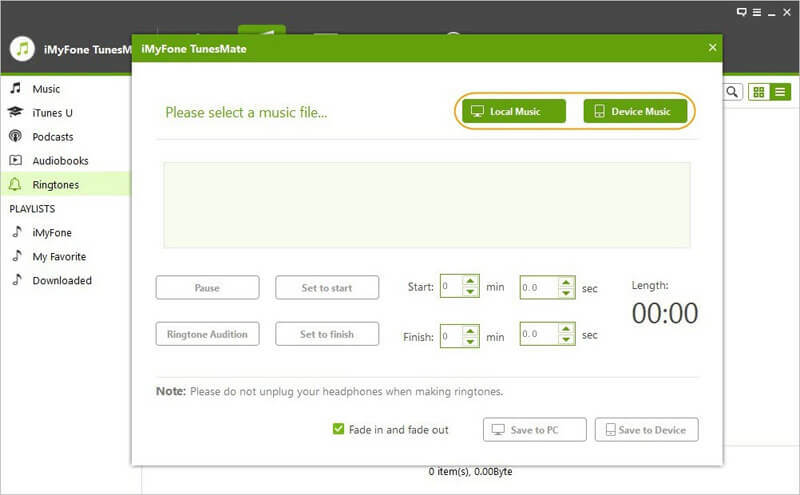 Step 1Download and install iMyFone TunesMate on your PC. 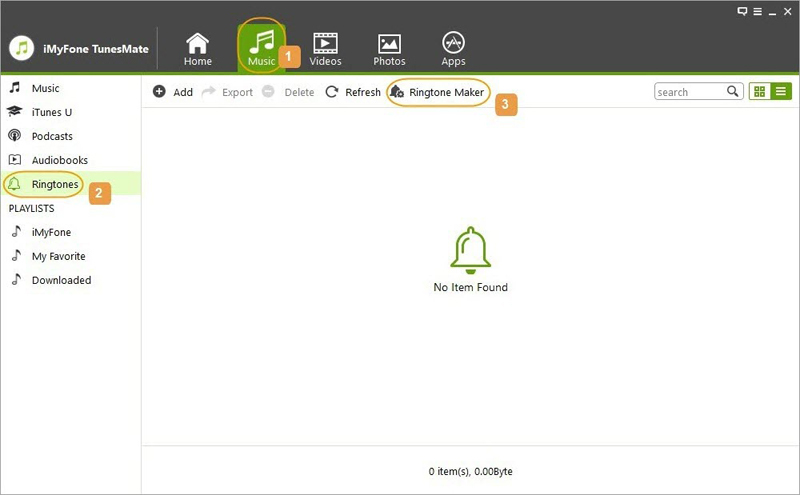 Open the TunesMate software on your computer and connect your iPhone to the computer. Step 2Click on "Music > Ringtones > Ringtone Maker". Step 3Choose your favorite Music video from your iPhone or PC. The soundtrack of the selected music video will begin to play, then set the start and stop time. Step 4Once it’s done, hit Ringtone Audition to preview. Then select "Save to Device" to save created ringtones into your iPhone.